Rachel Dixon and Sue Whayman work at Specsavers in Maidstone. Rachel has been working at Specsavers in Maidstone for nearly 15 years. Optometry has always been Rachel’s background, although it was not a career that she considered at first. At the age of 18 years old, she began looking for a job which could allow her to study whilst earning. She began training as a Dispensing Optician and qualified after three years of part-time study at the City and East London College. She then went on to qualify as a Contact Lens Optician three years later. Rachel loves working with the public and meeting different people every day. Rachel was born in Ipswich in Suffolk. She likes to keep active in her spare time and enjoys running – she has run several marathons and half marathons over the years. She is also working towards achieving a black belt in karate. Sue has been working at Specsavers in Maidstone for 22 years. Sue began work as a part-time Optical Assistant and has since worked in all areas of the store, including the laboratory. She attended Anglia Ruskin University to study Hearing Aid Audiology, qualifying after 2 years in 2012. 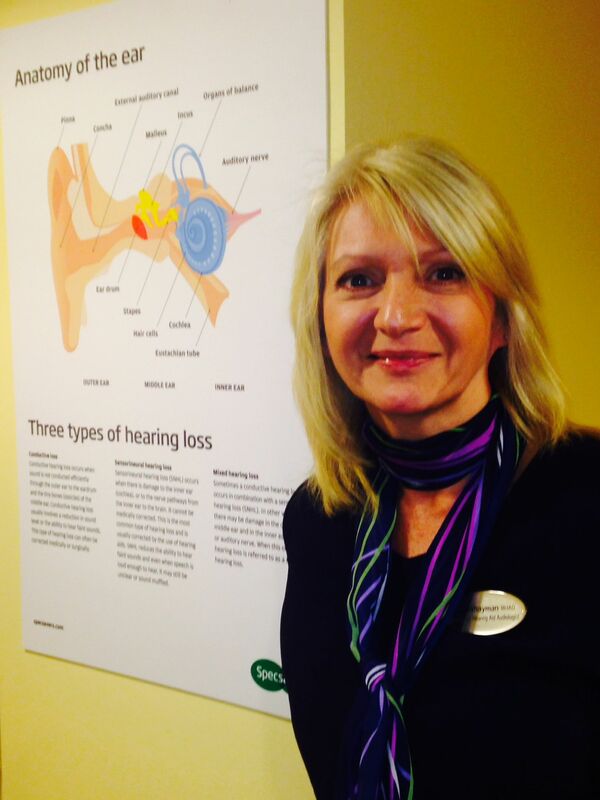 In December 2013, she became the Maidstone Hearcare store director. Her favourite part of the job is seeing the awe on people’s faces after fitting them with hearing aids. Sue was born and raised just outside of Maidstone. She has two cocker spaniel puppies and is currently enjoying training them.